The modern chemical agricultural approach is based on the assumption that chemical science has discovered all facets of plant nutritional requirements. It is clear that the traditional NPK approach to plant/soil systems has its limitations, both from an ecological perspective and in terms of its ability to create nutrient-dense food. Soil and plant systems have existed together for millions of years and have evolved the capacity to coexist in a way that is mutually beneficial. 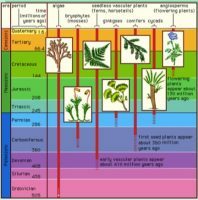 Plants have been fed and evolved with these biological and environmental stimuli over millennia. 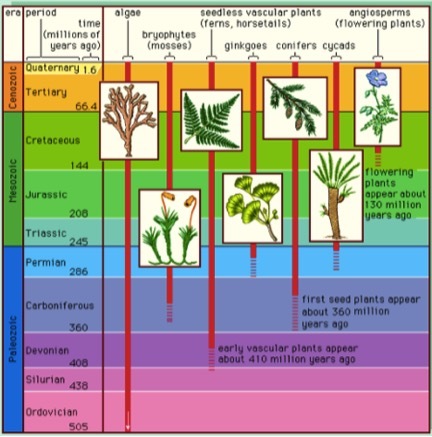 Looking to the geologic record for evidence, we can see that it shows that invertebrates, fungi and early vascular plants appeared on land roughly 400 million years ago, the first seed bearing plants about 360 million years ago and the first flowering plants 130 million years ago. What does this mean? 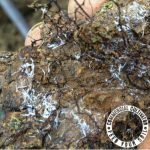 The soil food web has been in existence for millions of years and significant evidence exists that plants and soil biology have co-evolved together for millennia. Between mineral rich soils and the soil food web, this natural system has been able to create and provide significant plant available nutrients, certainly enough to facilitate the successful life cycle of many species. Clearly from an evolutionary context this system has been able to facilitate maximum genetic expression and the ongoing evolution of biologic species. In the not-too-distant past, agricultural fertilization practices were based on the existence of a diversity of plant and animal byproducts, animal manures, green manures, etc. These were reintroduced to the system and combined with the appropriate biologic populations, resulting in the decomposition of these organic material inputs and their conversion into plant-available nutrients. An overview of traditional farming practices provides substantial evidence that farming has been occurring for at least 10,000 years. Why, with such a long history of symbiotic interactions between biologic species, are we now witnessing the mass deterioration of arable land, and agricultural commodities containing lower nutritional value? An interesting common question among the conventional farming community, when the topic of organics or sustainability comes up, is “how are you going to feed the world?” Well that goal certainly will not be well served by the development of shelf stable, but low nutrient-dense foods. A greater volume of low nutrient-value foods certainly does not seem like a winning approach. Supporting agricultural systems that encourage the development of sustainable systems via locally produced, nutrient-dense food is a good start. And the same holds true for cannabis. In fact, the parallels between the production of high quality nutrient dense foods and high quality cannabis products are quite significant. Nutrient density in crops results from balanced, mineral rich soils, and a diversity of organic materials and biologic life, these elements provide the framework to facilitate the creation of a highly functional, biologic nutrient cycling system. A highly functional soil system results in more nutrient-dense crops, which contain measurably larger quantities of different phytonutrients, vitamins, minerals, flavonoids, and terpenes as compared to a system operating at a lower level of biologic efficiency. 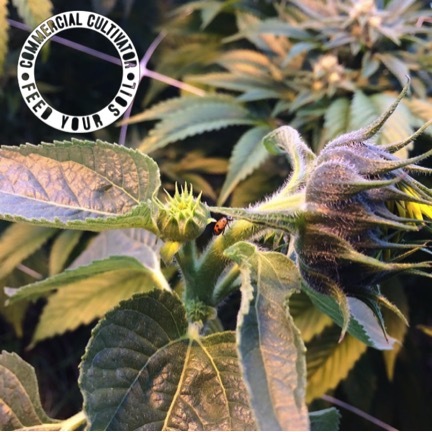 Benefits that have been observed from nutrient-dense crops are: more pest and disease resistance in the vegetative and fruiting stages, greater yield, more complex and intense flavors and a longer shelf life. Ultimately advancement in any cultivation system means finding and defining limiting factors in the given system. The objective should be ensuring the maximum biologic vitality of the components of said system and its outputs. Practically speaking, in order to enable the full genetic potential of biologic species, this means identifying and working toward the removal of limiting factors. Minimizing or entirely alleviating the factors that limit maximum plant growth will undoubtedly net positive gains and must be an integral component to any sustainable cultivation strategy. The Earth has provided us with a highly successful, multi-million-year-old biologic system, capable of providing abundant plant available nutrients on demand, a dynamic which must be integral to appropriate and intelligent systems design. In the pursuit of sustainability, perhaps it is time to return to our roots and begin to pursue dynamics that are mutually beneficial to all forms of biologic life. In the next article, we will take a step back from viewing sustainability through the lens of soil and plant specific cultivation methodologies, and focus on the broader context of sustainability in cultivation systems. We will look at sustainability from the context of operational efficiency, and provide a case study from a 400-light commercial indoor cannabis operation. The case study will provide evidence that, in order to achieve higher levels of sustainability, both cultivation strategies and operational efficiency must be factored into the equation. As we will see, true sustainability is created through the efficient design, incorporation, use and management of system elements, all of which can, when appropriately designed, work together to create improved efficiency for the system.